A long-standing Florida tradition returns for the 14th year this August. 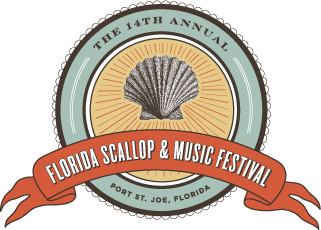 In a celebration of the Gulf region and Florida’s “Forgotten Coast,” the Florida Scallop & Music Festival is bringing arts and crafts, music and the ocean’s bounty to the Waterfront at Shipyard Cove on Friday, Aug. 6 through Sunday, Aug. 8. A weekend of fun with tasty regional food at $5 bucks is an easy way to experience the best of Port Saint Joseph while raising support for the economy, the culture and the people of Florida’s Gulf area. The kickoff on Friday features an all-day merchant sidewalk sale with local artists and scrumptious scallops vendors. General festivities begin on Saturday with the opening ceremony and continue through Sunday. Enjoy live music from Amanda Shaw, Bo Spring Band, Eric Lindell, The Tams and Treme Brass Band. The Florida Scallop Festival promises a good time for the whole family. General admission is $5.00 per person per day on Saturday and Sunday. Admission is FREE for children ages 10 and younger, for those 65 years and older and for military personnel with valid I.D. Spend the weekend eating delicious food, listening to talented musicians and supporting the gulf coast. For more information, visit the events web site, www.gulfchamber.org/scallopfestival.